Pod2g confirmed that the Evad3rs Dev-Team is ready with a jailbreak for iOS 6.1 and credits Planetbeing and Pimskeks for the accomplishment in an interview with iDigitalTimes. "For your information and this is important to me that everybody knows about it also, this jailbreak will be @planetbeing and @pimskeks. I arrived at the end, gave ideas that pushed them to their maximum, I kinda unblocked the situation, but it would certainly have happened without me helping." "Now I am helping as much as I can in terms of communication, websites, and also development, but I was not involved the same way as previous, focused on my work and all... Yes, in order @planetbeing, @pimskeks, then me." According to the hacker, iOS 6.0 is jailbroken as is iOS 6.1 Beta 4. The team is now waiting for iOS 6.1 GM to drop after which they can confirm there is no new security measures introduced. Once everything has been tested successfully the team will release the jailbreak. "6.0 is jailbroken, 6.1 beta 4 also. Now we are waiting 6.1 to confirm and release." 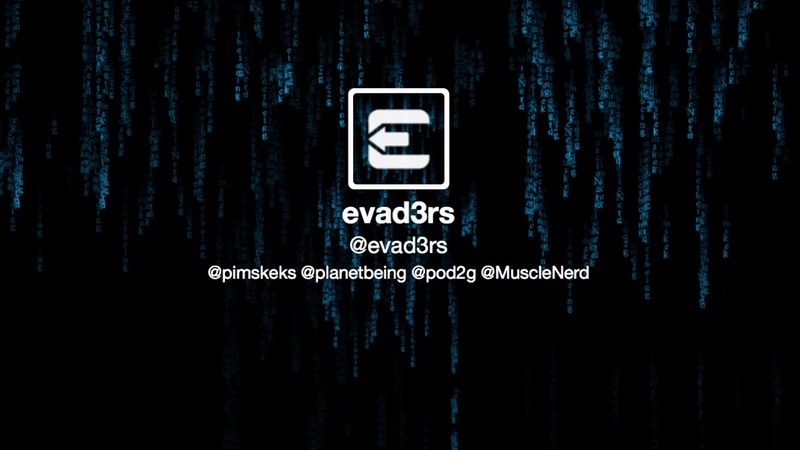 The new Evad3rs Dev-Team consists of Pod2g, MuscleNerd, Planetbeing, and Pimskeks.